After three exceptional full-length albums in 2012, Guided By Voices will kick off 2013 with this six song EP titled Down By The Racetrack. The recording has been described as a quick batch of lo-fi weirdness which should remind fans of mid-’90s EPs Get Out Of My Stations or Clown Prince of the Menthol Trailer. Stay tuned for pre-order information from Rockathon Records. 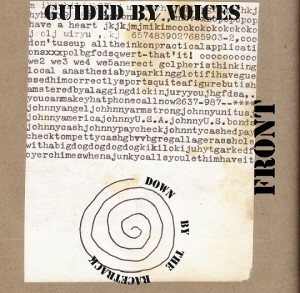 • Released on Guided By Voices Inc.